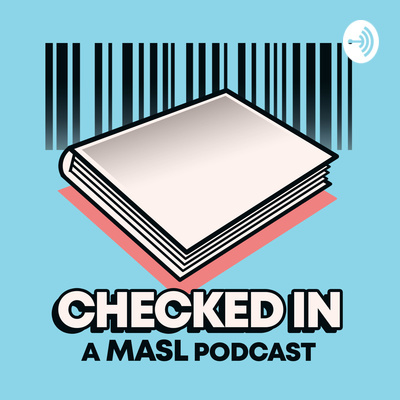 A library podcast sponsored by the Missouri Association of School Librarians and hosted by Missouri Librarian Ethan Evans, "Checked In" publishes discussions between librarians throughout the state over various library-related topics. If you're looking for library content, you've come to the right place. In Episode 8 of our first season, Ethan chats with his friend Marshall Conn, a Missouri educator, about comic books and convention life as well as fandoms and connecting with your students through your own passions. In this episode, we chat with some librarians working for the Woodneath branch of Mid-Continent Public Library in Liberty, Missouri. Discussions include partnerships between school and public librarians, worrying about stepping on toes, and trying not to openly sob whilst watching "The Hate U Give" in theaters. Enjoy! In this episode, Ethan chats with Carolyn Allen and Kelly Oliva, co-presidents of the Spring Conference Committee, about what to expect at conference this weekend and how to maximize your time and experience. Hope to see everyone there! In this episode, Ethan talks about his own successes and failures trying to implement a consistent book club at the high school level. Later, Amy Hertzberg drops by to talk about starting a Project Lit book club in her library. In this episode, Ethan talks with Elizabeth Hoskins and Kelly Oliva about utilizing technology and makerspace activities in your library. They share stories of success and failed attempts in describing the growth process of making your library more than a book warehouse. In this episode, we discuss your first year(s) as a librarian and how to settle in at a position that, in all likelihood, very few people in your school truly understand. Amber Dlugosh (HS librarian) and McKenzie Harbaugh (Elem. librarian) stop by to provide insight. Don't Podcast in the Library! In our inaugural episode, Ethan discusses how he'd like the podcast to develop and also talks current MASL president Jennifer Millikan about ways to get involved with the Missouri Association of School Librarians.